Australian musician Ben Lee has shared a new song about a meeting with Blondie guitarist Chris Stein on blockchain-backed social network Steemit. Posts on Steemit are upvoted and commented on by users. After seven days the platform pays out to the original poster and the ‘curators’ (those that upvoted the post) in two types of tokens: STEEM and US dollar pegged Steem Backed Dollars; as well as Steem Power, a stored interest. STEEM and Steem Backed Dollars can be exchanged for bitcoin or spent at social marketplace Peerhub. 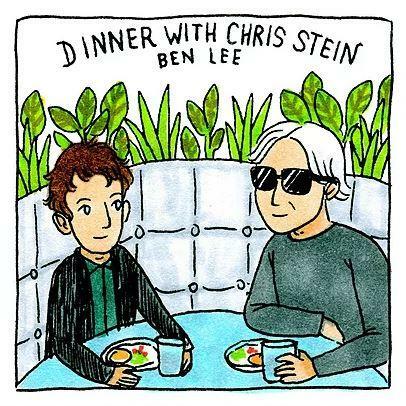 Lee’s song Dinner with Chris Stein had at the time of publication earned the artist $27.73, however this figure could fluctuate before the payout is made. Lee, formerly of Sydney band Noise Addict, is one of a growing number of music acts experimenting with blockchain and cryptocurrencies. In 2016 British singer Imogen Heap became one of the first to see the potential, allowing fans to buy her song Tiny Human with cryptocurrency Ether. The release, however, encountered issues, and fan confusion over how to purchase, and ultimately resulted in only 222 individual sales. DJ RAC last year let fans pay for his fifth album (hosted on the interplanetary file system) in Ether as well. In November Bjork announced she would be accepting Bitcoin, Litecoin and Dashcoin for her album Utopia, and also giving away 100 Audiocoins, with every purchase. In October, Ghostface Killah of the Wu-Tang Clan (best known for their song C.R.E.A.M which stands for Cash Rules Everything Around Me) co-founded cryptocurrency firm Cream Capital and sought to raise $30 million through an initial coin offering. The company later suspended the sale indefinitely blaming “market over-saturation and more”. In December, the merchandise stores from the likes of Mariah Carey, Weezer, Slayer, Sia, Roger Waters, Motorhead, Panic At The Disco, Morrissey, Alice Cooper, Anthrax, Motley Cru, Marilyn Manson, Mastodon, Lana Del Rey, G-Eazy, Fall Out Boy and Dolly Parton began accepting cryptocurrency Monero. Lee is understood to be the first Aussie artist to tap in to the trend. "This is a very practical application of cryptocurrency and its really changing the way I'm thinking about social media," Lee said. “Excited to see how far I can help push things into toppling the old model of social use, and allow content creators to recognise themselves for the value they give these companies. It feels kind of like unionising factory workers - the conditions simply must improve." Incidentally, computing was a main talking point of Lee’s 1999 encounter with Stein. “We had a fascinating conversation and at one point Chris said something that sounded shocking to my idealistic 21 year old ears: ‘If I was 15 now and wanted to destroy the system, I don’t think I’d pick a guitar, I’d become a computer hacker – that’s where the real subversive kids are now’,” Lee said.